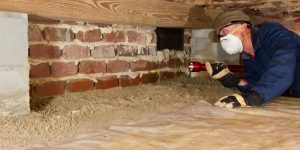 Top Reasons To Hire a Pest Control Professional - Pest Control Alabama | Bama Exterminating Co.
Pest control professionals are well-known for their bug-zapping abilities, but many homeowners still attempt to handle pest infestations by themselves. Usually, they’re motivated by a desire to save money, however, there are many reasons why hiring a professional exterminator in the first place is simply the best choice. The services of a pest control professional may cost less in the long-run than attempting to battle households pests yourself. Many homeowners purchase treatment after treatment—sprays, dusts, and baits in every shape, size, and color—in a vain attempt to rid themselves of pests. The costs of these treatments individually may be low, but the total amount spent often far exceeds the cost of an exterminator visit. Professional exterminators are trained to safely use chemical products. All chemicals, whether available to consumers or only to professionals, carry certain hazards and risks. If these products are applied or stored improperly, damage to property, ill health effects, or even death may occur. The products that professionals use are more powerful and more effective than those that are available for purchase by consumers. They begin to kill and/or repel pests very quickly, often within just a few hours. Professional products last longer. They provide residual protection for extended periods. An exterminator can identify the pest that has invaded your home and plan a treatment program to target that exact pest. Some species of ant, for example, are attracted to protein-based baits but will totally ignore sweet baits. Some pests post a danger to humans in the form of bites or stings. Professional exterminators will wear protective clothing that prevents bees, fire ants, rodents, or other pests from coming into close contact with them. A homeowner is, of course, safe allowing a professional to do the job. Professional pest control companies often provide an effectiveness guarantee that their treatment efforts will keep pests at bay for extended periods. If pests should return during that time, the exterminator will come back and treat the home again at no charge. When dealing with chemical products, accidents may sometimes occur and damage to property can result. A professional exterminator will carry insurance to cover any potential damages. Using the services of a pest control professional will save time and effort on your part. Applying liquid products, placing baits, and setting traps are all time-consuming endeavors. It takes much less energy to let a professional take care of things. When you have a pest problem, you want it to be taken care of as quickly and effectively as possible. Rather than waste time and money on DIY methods that don’t work, consider hiring the professionals at Bama Exterminating and let us eliminate the problem entirely! Contact us today. Considering hiring a pro?Get a Free Quote!